Lady Amelia Plume has many admirers – it’s too bad they’re all fortune hunters and fops who can’t provide the exotic adventures she seeks. But the ballrooms of Mayfair have become much more appealing since the arrival of Major Lucas Winter, an American with a dark past and a dangerous air. Lucas is brash, arrogant – and scandalously tempting. Every thrilling kiss sparks hotter desire, yet Amelia suspects Lucas has a hidden motive in wooing her. And she intends to discover it, by any means necessary. 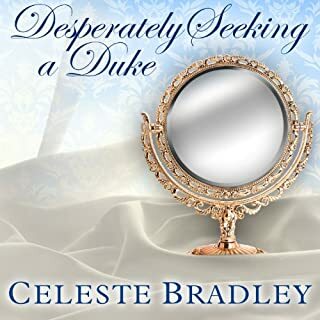 The dangerously beautiful Deirdre Cantor is determined to inherit her grandfather's vast fortune. All she needs is to marry a duke...and be the first granddaughter to walk down the aisle. After all, she has always dreamed of becoming a member of the haute ton. 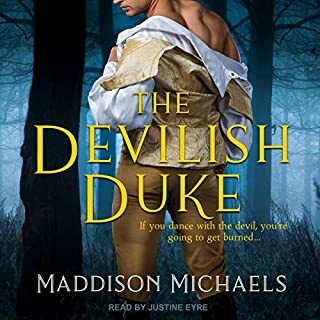 So when the proper Calder Marbrook, the Marquis of Brookhaven and future Duke of Brookmoor, is abandoned at the altar, Deirdre makes it her business to become his wife-in spite of the whispers about his past. Good writing and narrating continue in part 2! Another good story. Bradley really adds depth to characters we have already met. Although the book could stand alone, it is a definite compliment to the first in the series and another enjoyable listen. The tale continues with more intrigue and challenges. The narrator is top of the line!